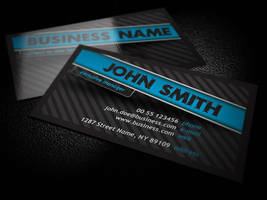 Free Rounded Corporate Business Card with a high detailed texture background, can be used for almost any kind of company, or even personal use. You are welcome, I'm glad you like it! Thanks a lot! Great to hear! When I grow up and (hopefully) start an art business, I want one of these! Haha, I'm glad to hear that! You're very welcome. I'm glad you like it! Those card mock-ups are amazing.. Wish I could learn how to do that. Pretty cool looking yeah, not done by me though. Oh.. Is it ok to share? Hehe..
Well it wasn't free, so I guess that would be a little weird thing to do. Sorry. Ooohh.. No problem man! Thanks for this.. Welcome buddy! It's all my pleasure! The example logo is not copyrighted by me or anyone else. I simply made it for this business card purpose only. Feel free to use it to whatever you want, if you like it of course.